The awareness group CO Angels are urging everyone to ensure their home is safe with Christmas not far away. The group is concerned that with Christmas approaching, awareness of the potential risks of carbon monoxide can be forgotten and so they are even keener at this time of year to make sure people understand the danger. According to recent stats from the Department of Health, 50 people die each year from carbon monoxide (CO) poisoning with another 4,000 treated in hospital. The risks emerge largely from fuel burning appliances that are not properly installed, maintained or repaired, equipment such as fires, boilers, chimneys, gas cookers and water heaters. Gas, oil and solid fuels can all emit carbon monoxide. CO Angels was formed in 2010 by Stacey Rodgers, Vikki Courtman and Melissa Matthews who have each lost someone to carbon monoxide poisoning. The group’s aim is to spread the message about the dangers of carbon monoxide to as many people as possible. The group advise the installation of audible carbon monoxide alarms which can be bought from DIY stores. 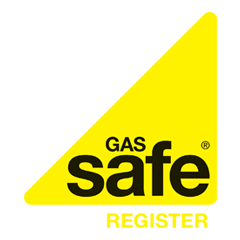 They also urge regular checks and maintenance carried out by registered Gas Safe engineers or, with regards to chimneys, the National Association of Chimney Sweeps. People should also make themselves aware of the danger signs of carbon monoxide poisoning such as headaches, dizziness, nausea, breathlessness, collapsing and loss of consciousness. Medical advice should be sought immediately if there is any suspicion of CO poisoning. CO Angels are campaigning to get 10 million alarms installed in UK homes by 2020.